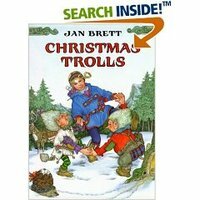 Christmas Trolls by Jan Bret. Sweet, sweet story of two trolls learning the meaning of christmas, and I adore Bret's scandinavian styled illustrations. And yes, Anamaria, I do just want to jump into this book and "live" in their home! So cozy! Calvin and Ezra are often playing "Mig and Tig" trolls from this book and teaching each other the "spirit of christmas" just like in the story (of course, this also means that they play the "fighting" that the trolls do too). 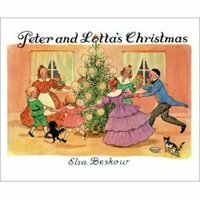 Peter and Lotta's Christmas by Elsa Beskow. This one just arrived at our home (via Advent stocking #2! ), and Steve's been reading it, so I can't say much about it yet. 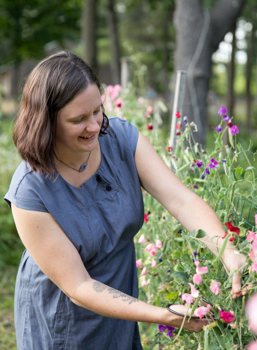 But Elsa Beskow is my favorite children's author/illustrator so I know I'll love it. Her illustrations are so wonderful, and the stories are so simple and sweet...even if there's some language that's a bit outdated (there's always one little thing in each book that we choose to "edit"). Winter Solstice by Ellen Jackson. Another new one to us this year, I like the history and global perspective in this book, showing where lots of our modern holiday traditions originated from. 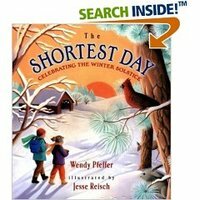 The Shortest Day: Celebrating Winter Solstice by Wendy Pfeffer. I like how this one combines the spiritual aspect of solstice with science, history and culture. Beautiful illustrations. 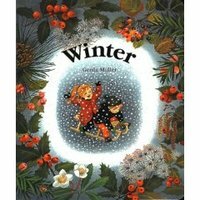 Winter by Gerda Muller. We have all four of these season books, and they're so lovely. They're board books with simple illustrations (no words) of seasonal activities. Our copies are all well loved from so much looking. The Snow Tree by Caroline Repchuk. I stumbled on this book at a yard sale and fell in love with it's simplicity and beauty. 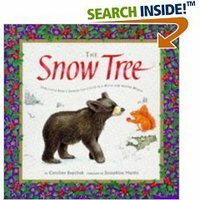 All the animals in the forest bring their special things to decorate a winter tree, with simple sweet illustrations (all on a very neat textured paper). I love that it fits for all religious and spirtual winter celebrations. 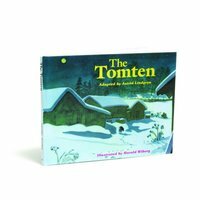 The Tomten by Astrid Lindgren. Calvin used to get a little freaked out by the gnomey guy...but now he's a big hit around here, thankfully for Mama who loves to read this one. 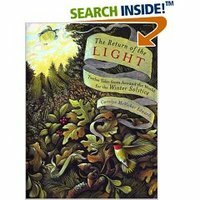 The Return of the Light: 12 Tales from Around the World for the Winter Solstice by Caroline McVickar Edwards. Okay, so this isn't a favorite yet, but it's on it's way in the mail to us, and I'm really excited about it. 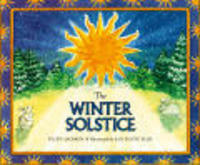 Full of Winter Solstice short stories, and it also includes a section with rites and songs. 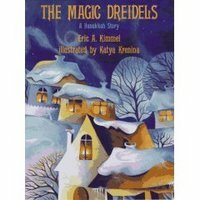 THe Magic Dreidels by Eric Kimmel. I looove the gorgeous colors in this retelling of the fable, "the tablecloth, the donkey, and the stick". And of course, The Grinch. Though it's hard to consider this a holiday book since we read it all year long. 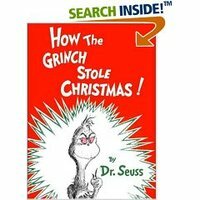 This, and Horton are Ezra's two favorite books. I think I could read them both without looking at the books....he probably could too. edited to add: how could I forget The Night Before Christmas? As we read that this morning and got to the line, "he had a broad face and a little round belly, that shook when he laughed like a bowlful of jelly," Ezra stopped me to say, quite as if he'd discovered something very exciting, "Mama! Your belly does that too!". Why yes, my dear, it does. It certainly does.